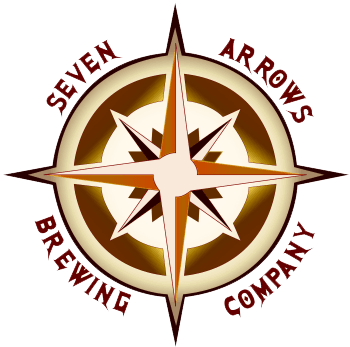 join the mug club at seven arrows! Choose from our 2 options! Annual Mug Club: A 20 oz. ceramic mug with the Seven Arrows Logo on one side and The Mug Club on the opposite side. Whenever you bring your mug to the taproom, you get a 20oz. fill for the 16oz. price! Lifetime Mug Club: A personalized 20oz. mug with the Seven Arrows Logo on one side and your name on the opposite side. All lifetime mugs are hand made and kept at the brewery for your convenience! 20oz. fills for the 16oz. price and 10% off ALL merchandise for life!